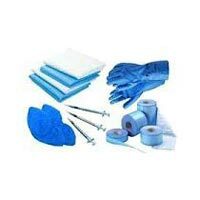 Our company is one of the reputed Exporters and Suppliers of Medical Equipment. Designed using the latest technologies and fabricated from premium raw materials, our entire range of Medical Equipment is highly reliable, sterile and excellently finished. We source them from renowned manufacturers who adhere to international medical norms. We make them available in bulk at competitive prices. Interested buyers can get Medical Equipment from us anytime.